Swim Guide wants to help you find the best New Jersey beaches for the month of August. We have put together a list of recommended on Swim Guide based on their consistent excellent water quality (they passed water quality test more than 95% of the time in 2017), and the beaches’ popularity with our users. As of August 1st, all the beaches listed below passed 100% of recreational water quality test for the year of 2017. We’ve also confirmed that these beaches are open this summer. For up-to-date information on water quality download the Swim Guide application for you phone. Stone Harbor beaches lie along the Atlantic Ocean. Only swimming is permitted at this beach. A beach tag is required to access the beach between Memorial Day and Labor Day. Tags can be purchased at the beach or at the Beach Tag office. 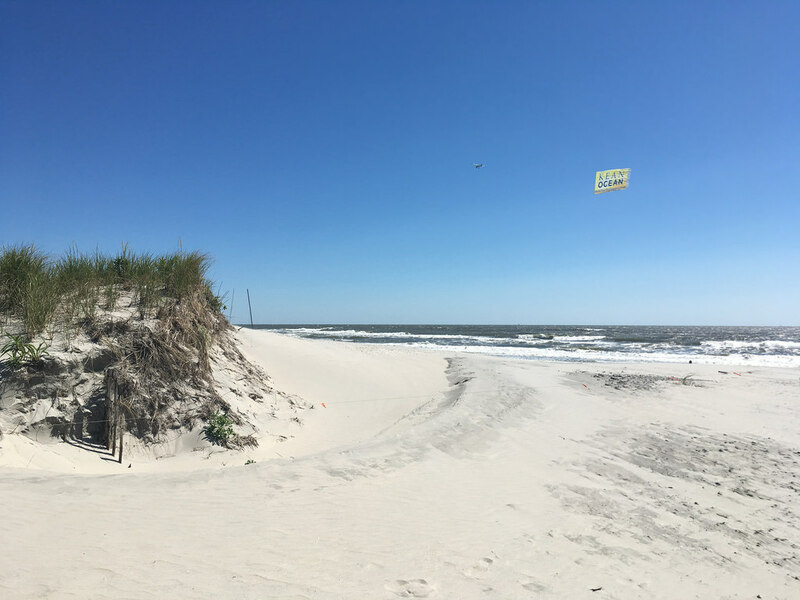 Seaside Park’s beaches are a great destination if you’re looking for a spacious and well-maintained place to swim, fish, or surf (there are designated areas for each). There are lifeguards on duty during the summer swim season. No picnics are allowed on the beaches. Follow the beach boardwalk to Funtown Pier, where you can enjoy rides and amusement. Surf City’s beaches are located on Long Beach Island. Beaches are patrolled by the Surf City Beach Patrol. Beach badges are required for visitors over the age of 12. Visitors can enjoy swimming, surfing, and fishing, but be sure that your preferred activity is permitted at your beach. Surfing is only permitted between North 1st and 3rd and fishing is permitted between North 23rd and 25th. You will find parking along Long Beach Boulevard. For your convenience, restrooms can be found at 9th Street. When you are done at the beach, be sure to explore Surf City’s many shops and restaurants! This bayside beach is located in the borough of Ship Bottom. Beach Badges are required at the beach from June until Labor Day and prices can be found online at the Ship Bottom Beach Patrol webpage. Lifeguards are on duty from 10am-5pm during the swimming season. Wheelchair ramps can be found at several access points along the beach. This beach is located in the seashore resort of Avalon, where the slogan “Cooler by a Mile” represents the borough’s location on the Atlantic Ocean. With its calm water, natural dunes, and spacious beach area, Avalon’s beach has been described as, “the best beach in New Jersey”. Beach badges are required for all visitors over the age of 12. They can be purchased on the beach or from Community Hall. Restrooms can be found at various access points along the beach as can parking. Lifeguards are on duty during the swim season. 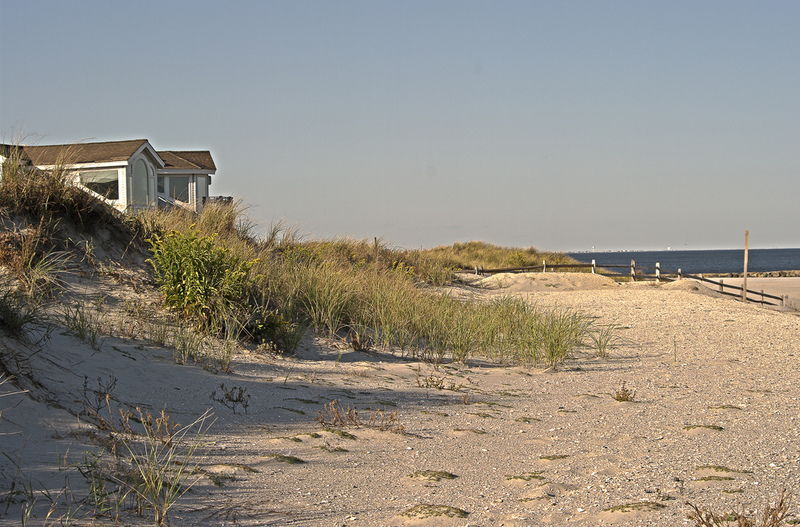 This oceanside beach runs along the shores of the borough of Barnegat Light. Visitors can enjoy swimming and surfing under lifeguard supervision. A beach badge is required to access the beach; badges can be purchased at the borough hall. There are many shops and restaurants nearby. This barrier island beach is located in Ocean City, self-proclaimed as, “America’s Greatest Family Resort”. Visitors to the white sand beach must pay the daily or weekly fee to use the beach. The beach is patrolled by lifeguards from Memorial Day to Labor Day. Restrooms are available at various points along the beach as well as metered parking. Picnics and fires are prohibited on the beach. Ocean City has a beach accessible wheelchair service. Surfing is permitted at 16th Street. Longport’s ocean beaches are monitored by the Longport Beach Patrol. A beach badge is required for visitors over 12. You will find restrooms at 33rd and Atlantic Avenue. Metered parking is available. Surfing is not permitted at the 19th Street beach.